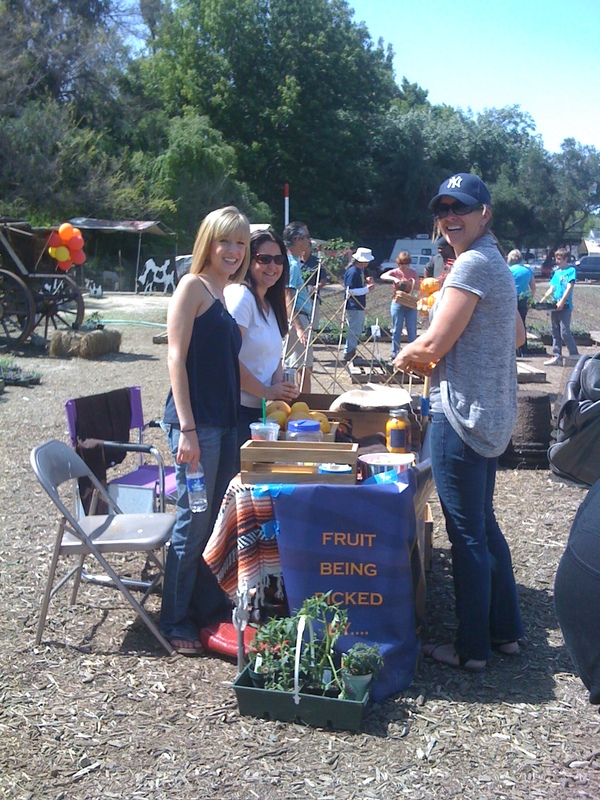 Last Saturday was an amazing day in the fruitworld! 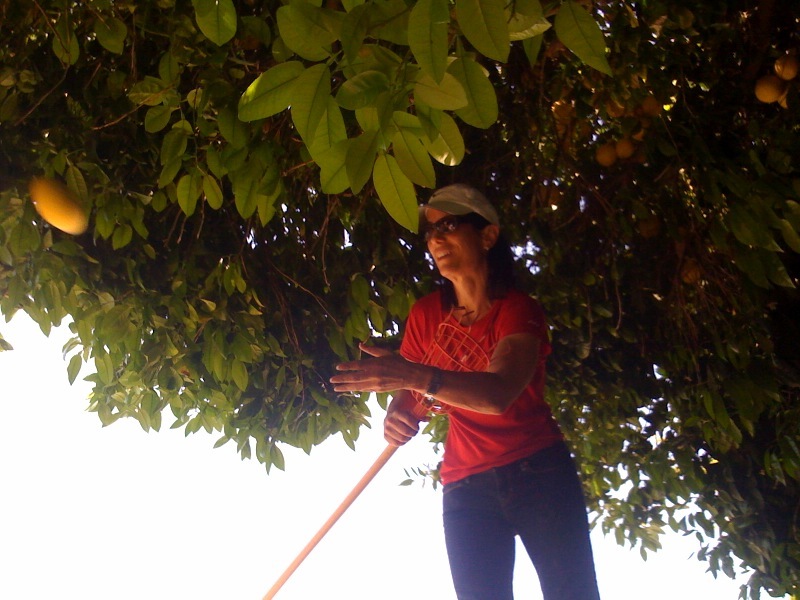 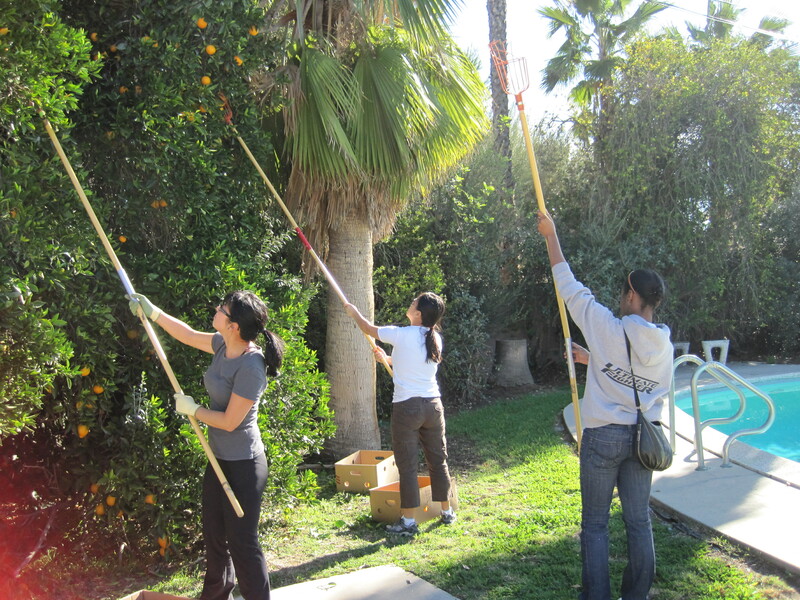 We started the day with a great group of volunteers harvesting 400lbs of valencia oranges in Northridge and then participated in LA’s first Food Rendezvous in Venice, CA! 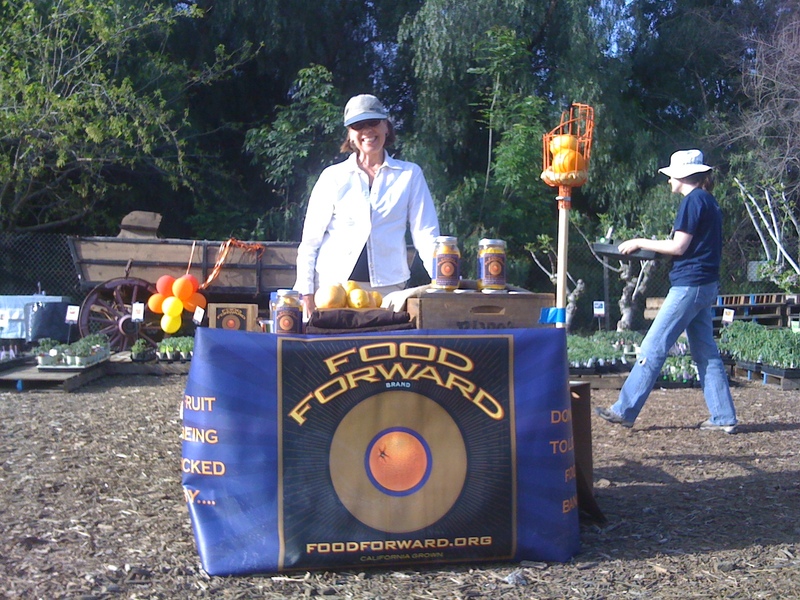 It was great to see some of our friends from the Garden School Foundation, Community Services Unl…imited, Slow Food LA, LA Farm Girl and sample all of the incredible food made by local artisans. 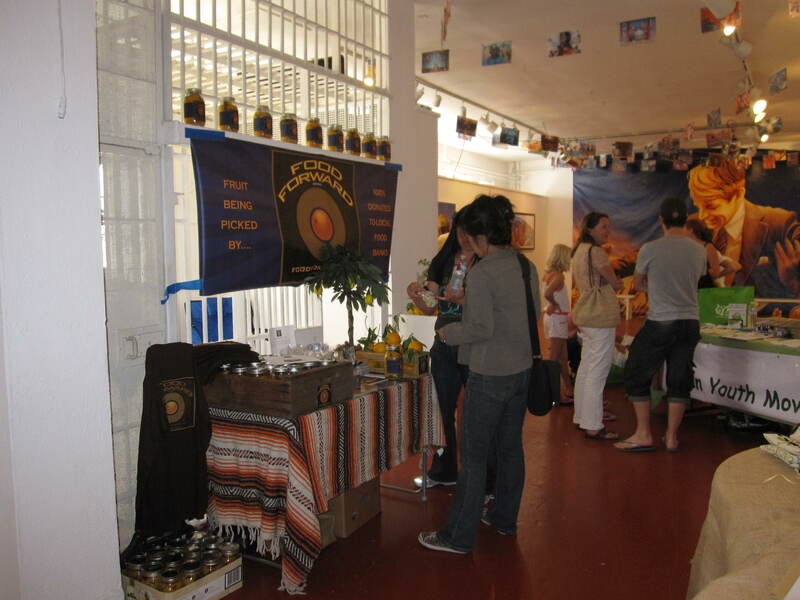 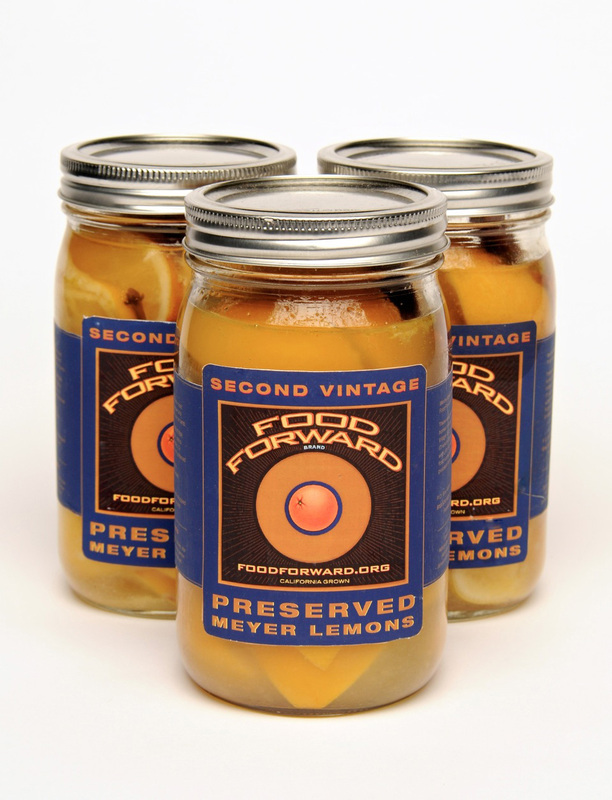 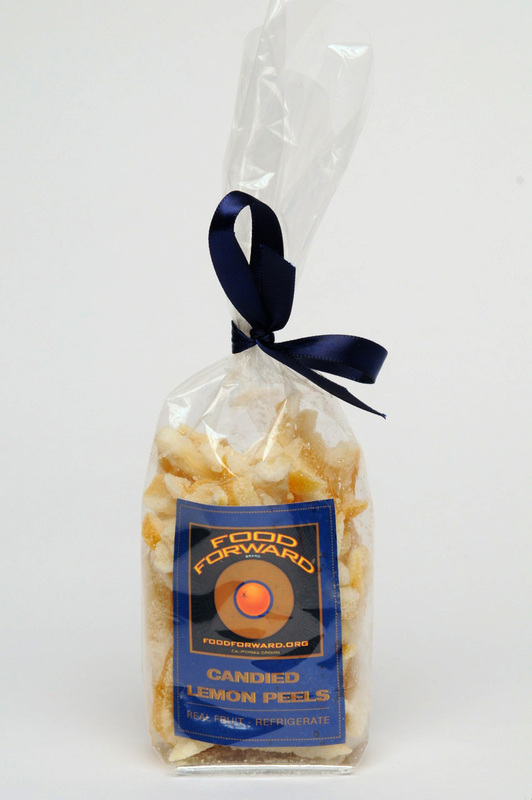 Our candied lemons peels and 2nd vintage preserved lemons were a big hit and we look forward to participating in this event again. 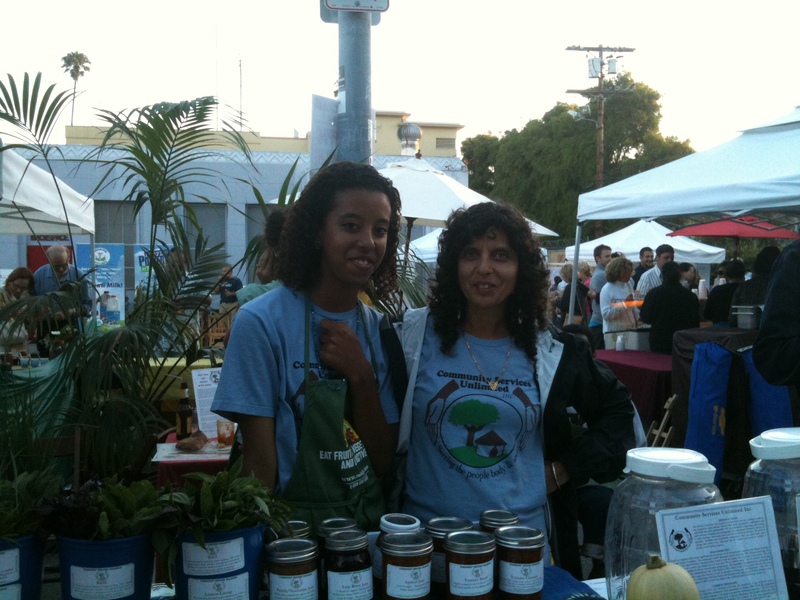 A big thanks again to Laurie & Dominique for inviting us! 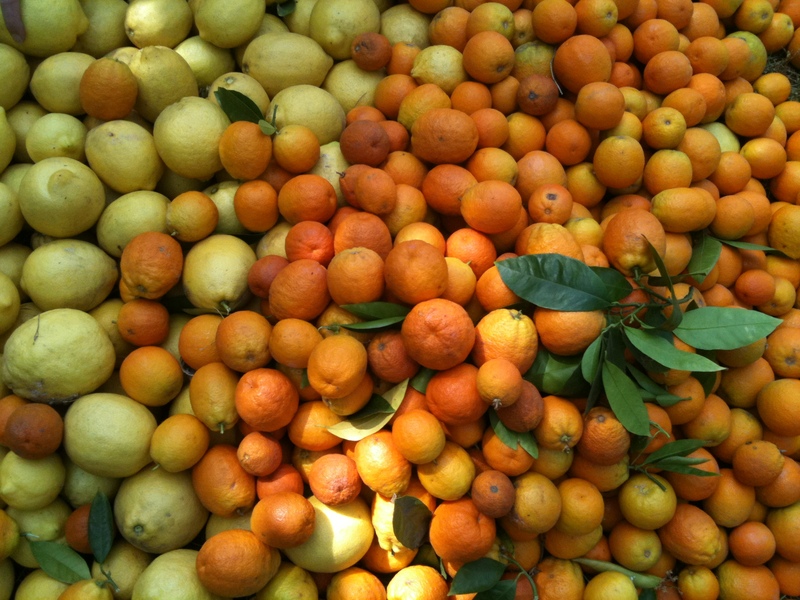 The start of Summer Citrusmania! 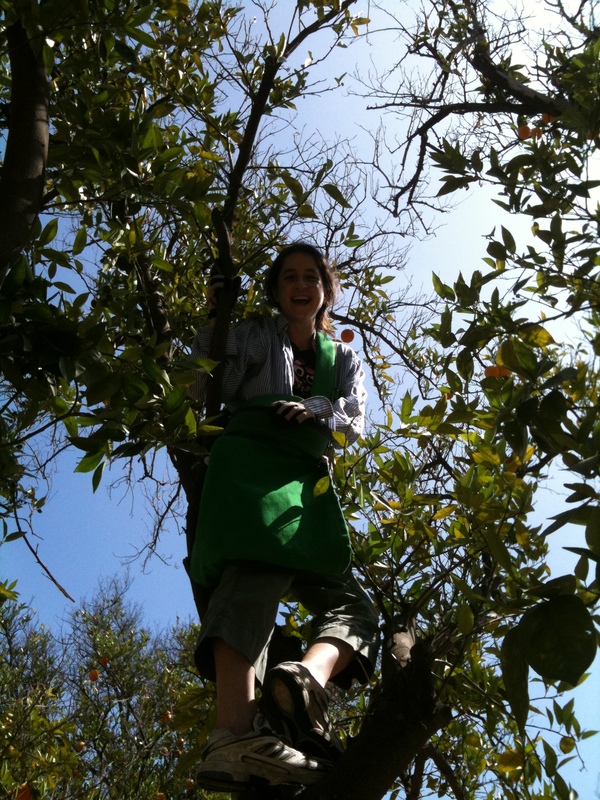 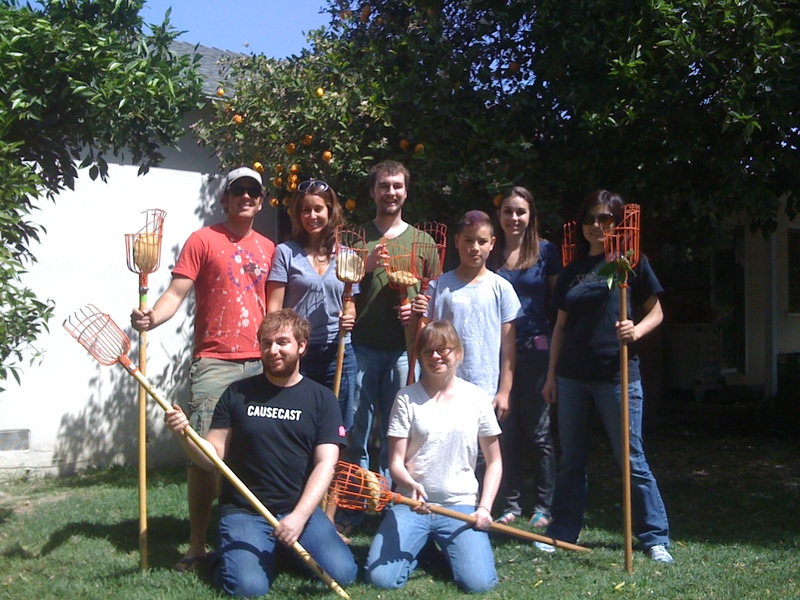 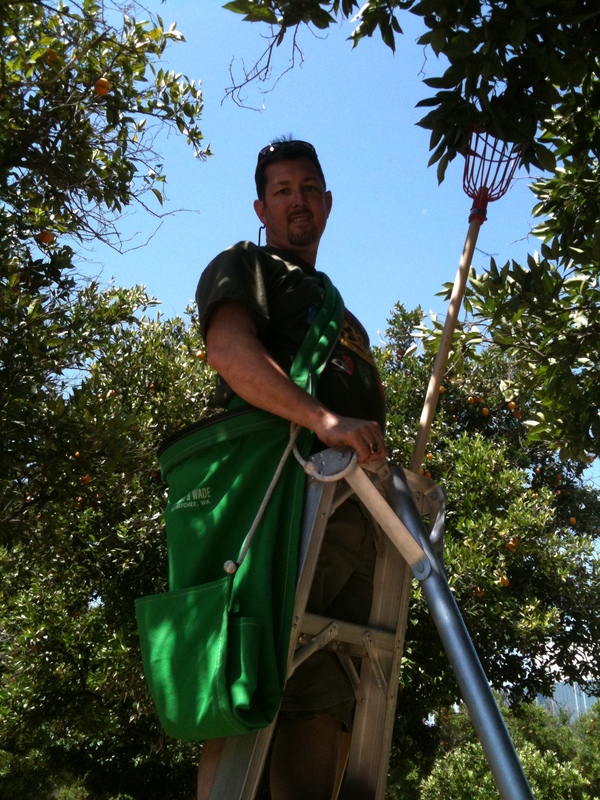 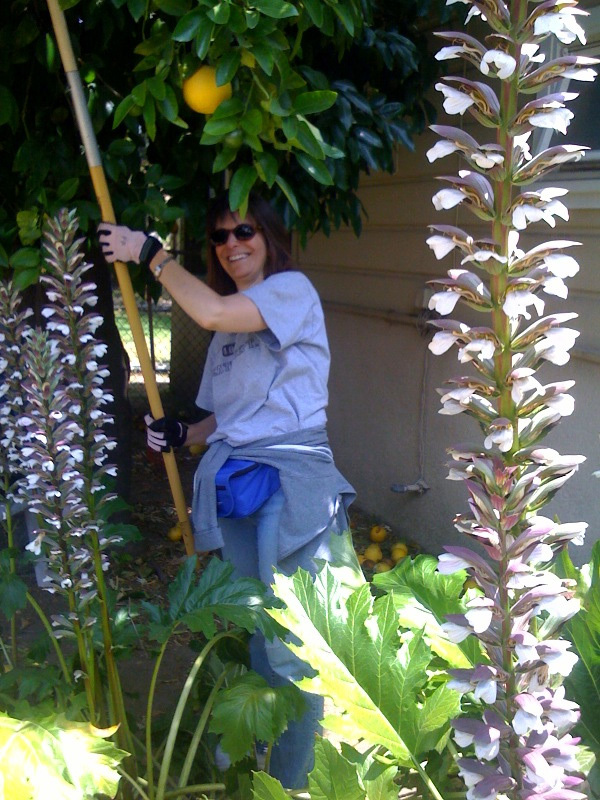 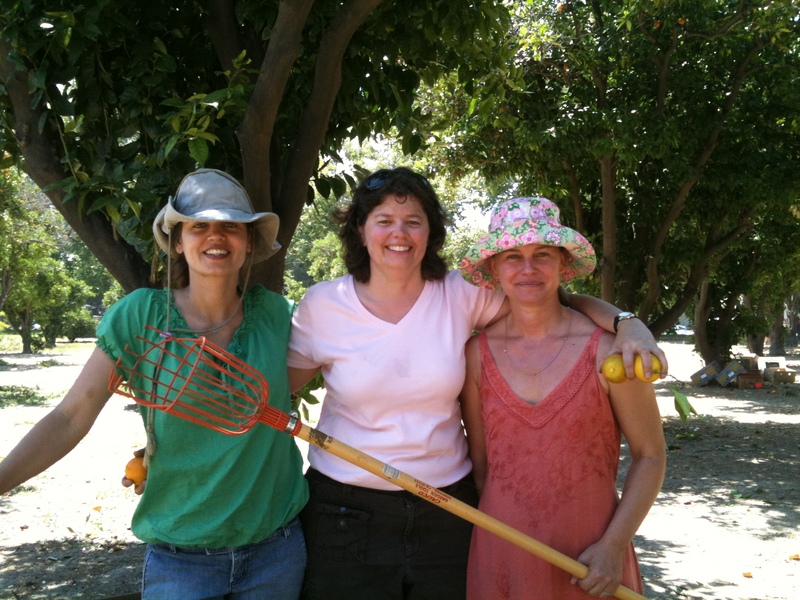 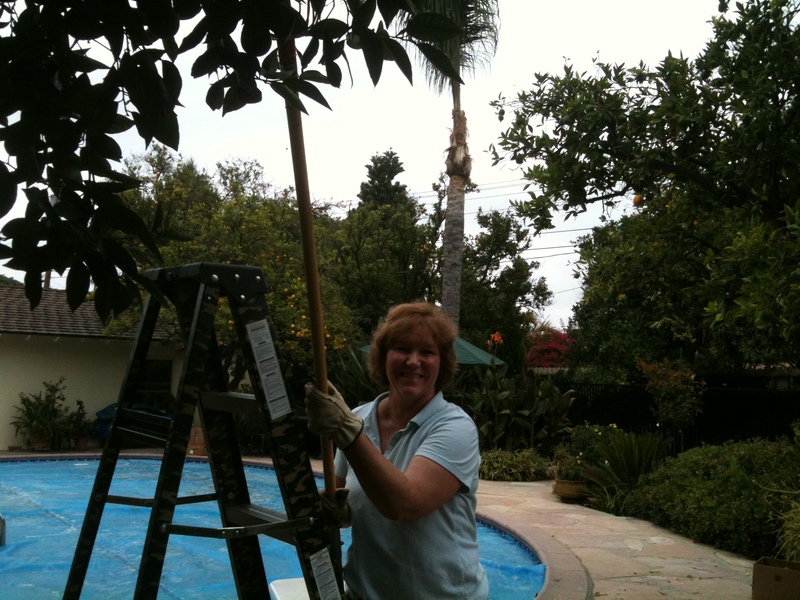 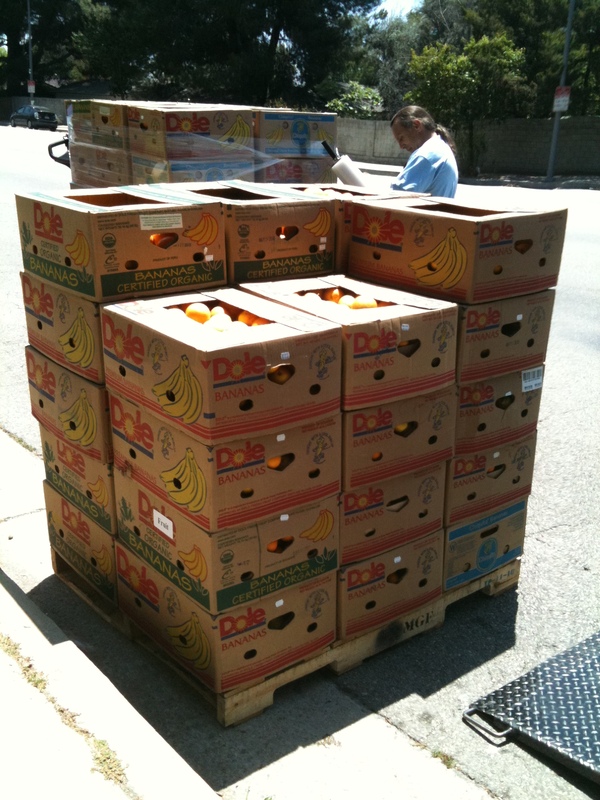 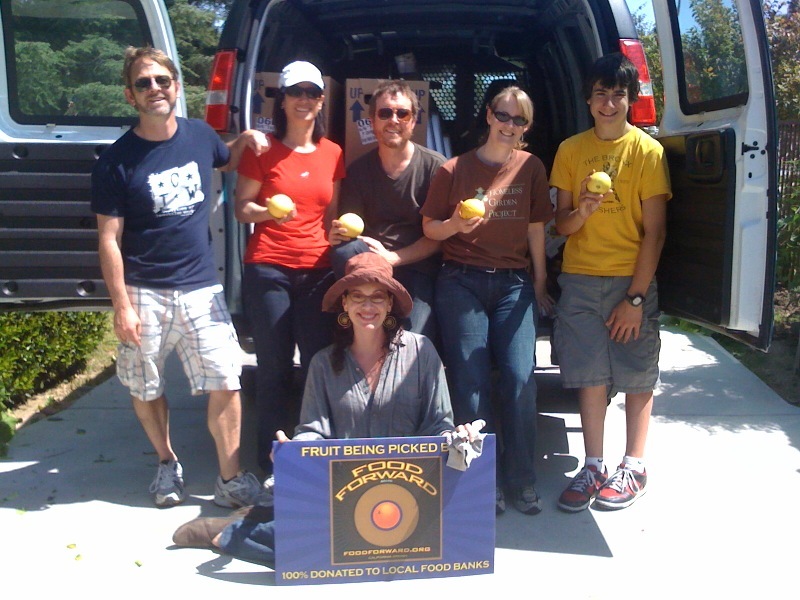 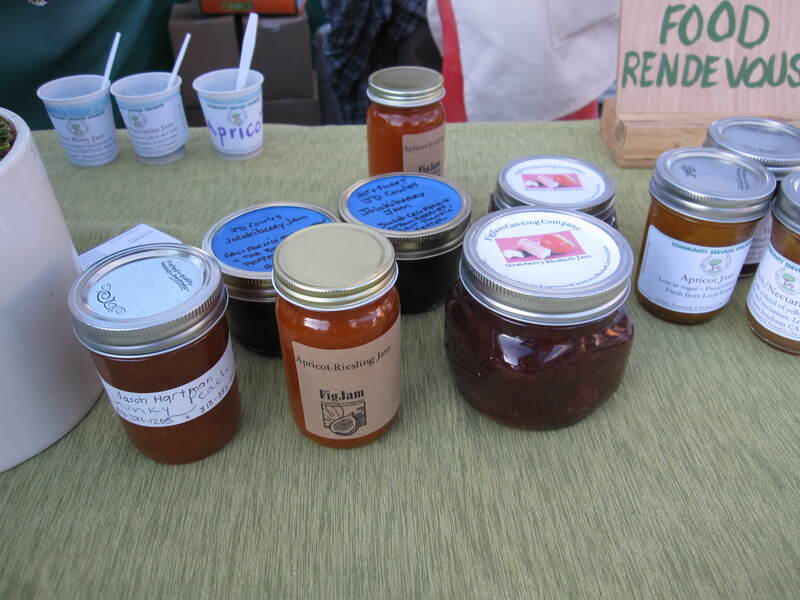 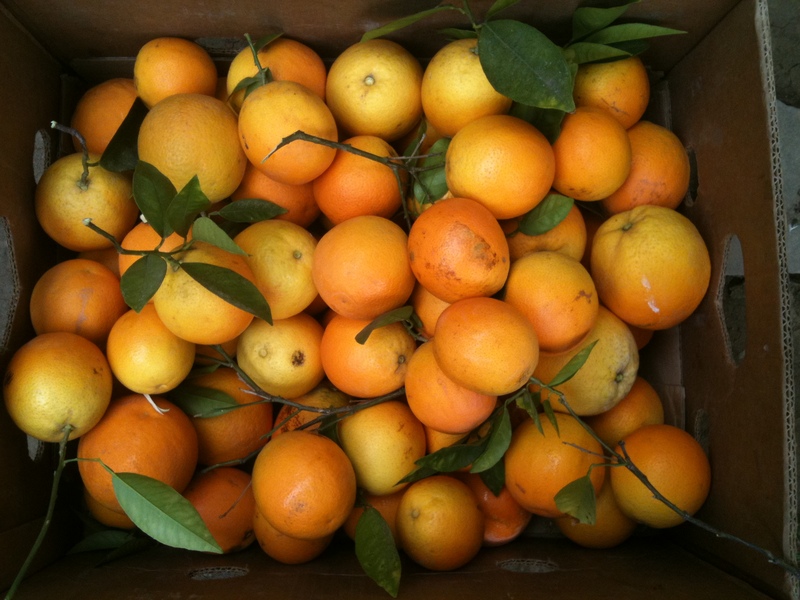 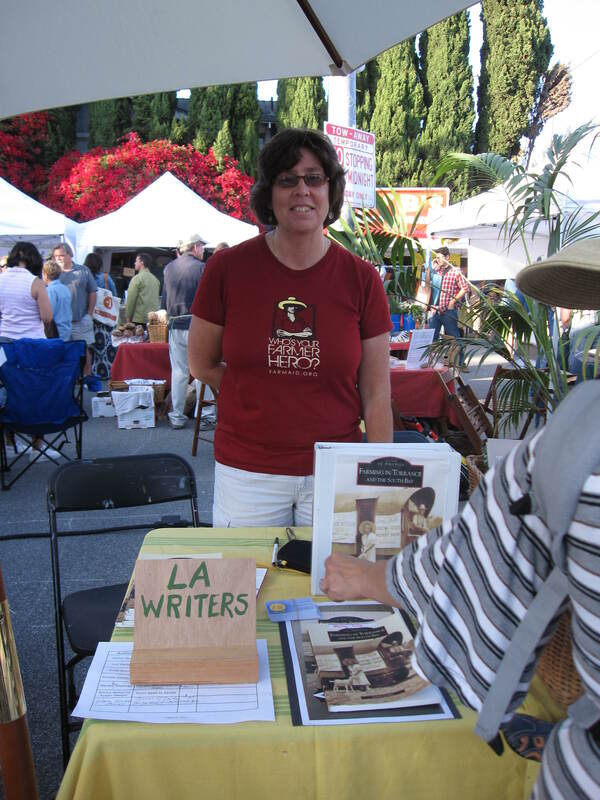 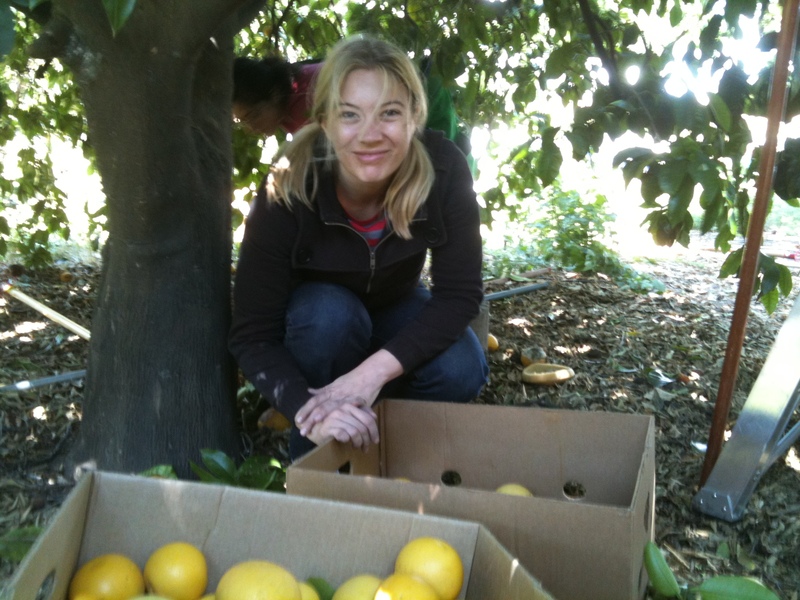 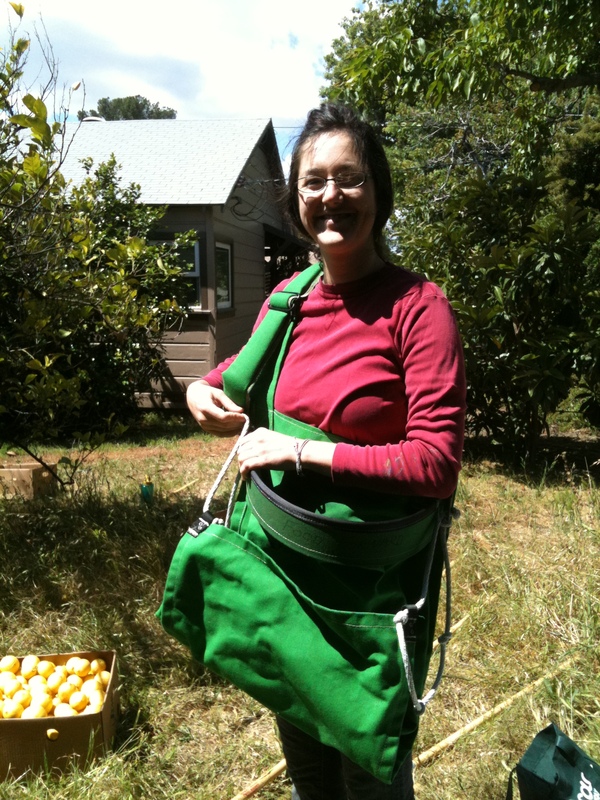 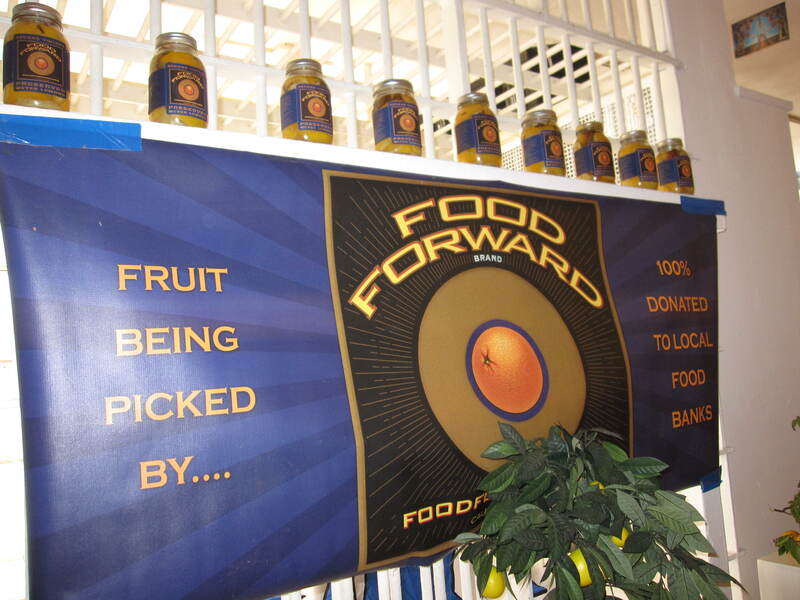 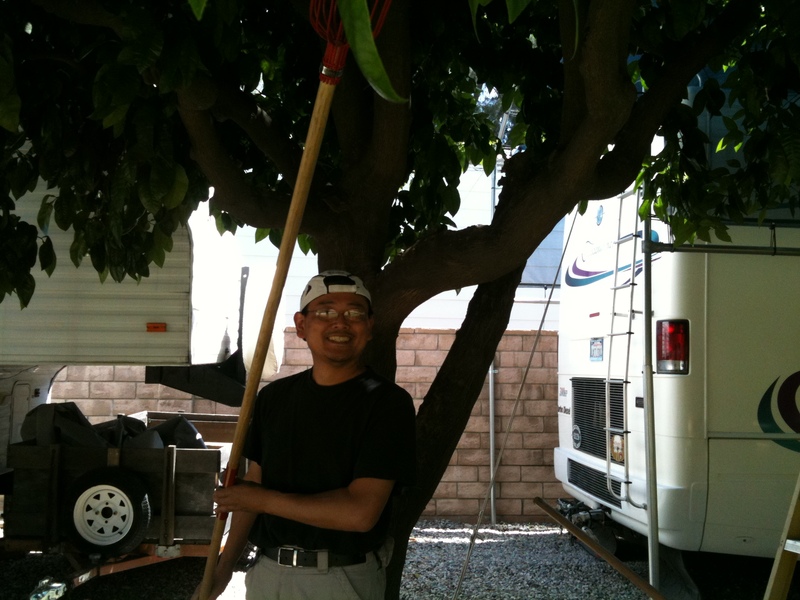 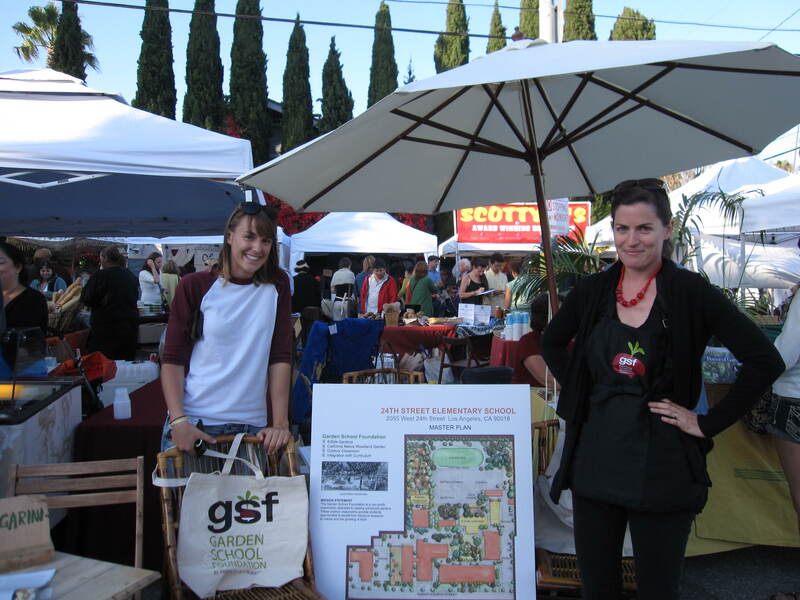 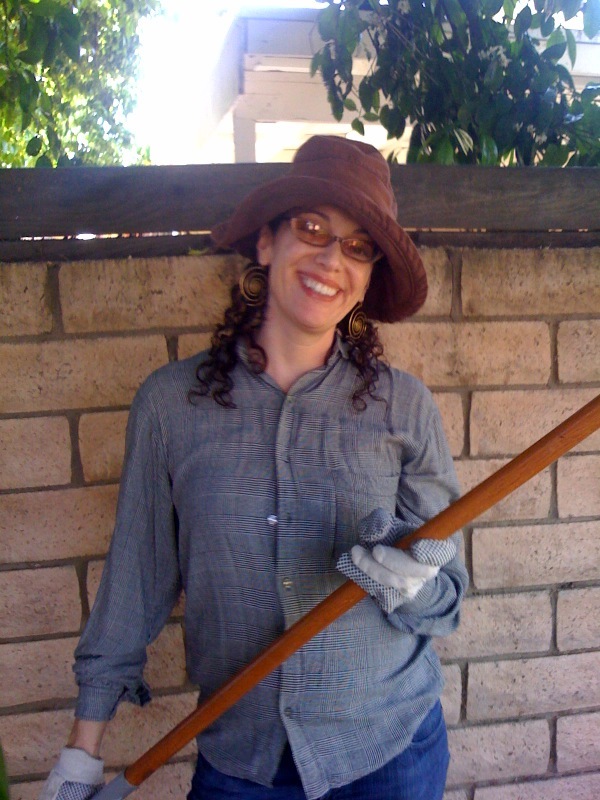 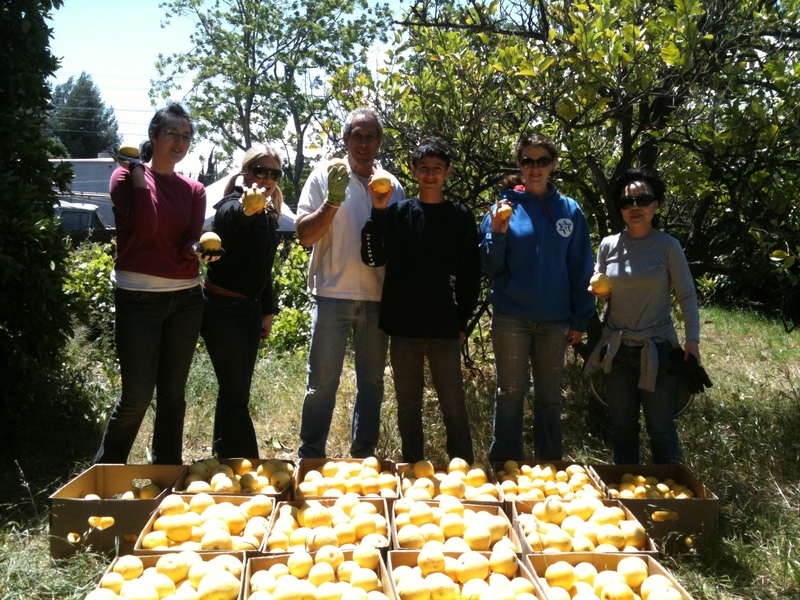 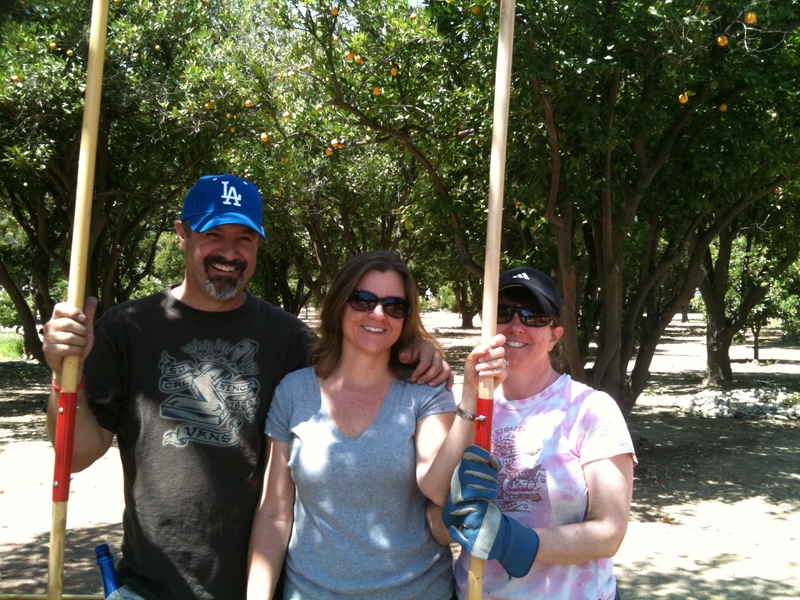 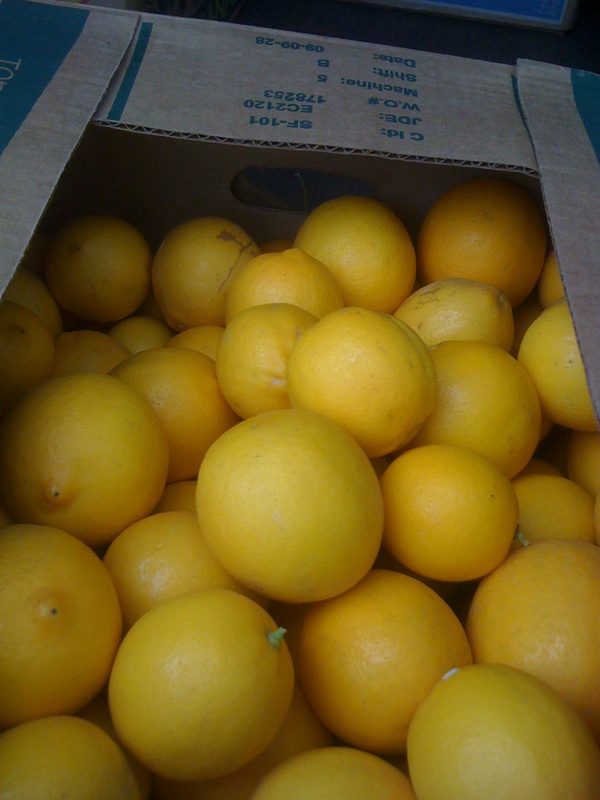 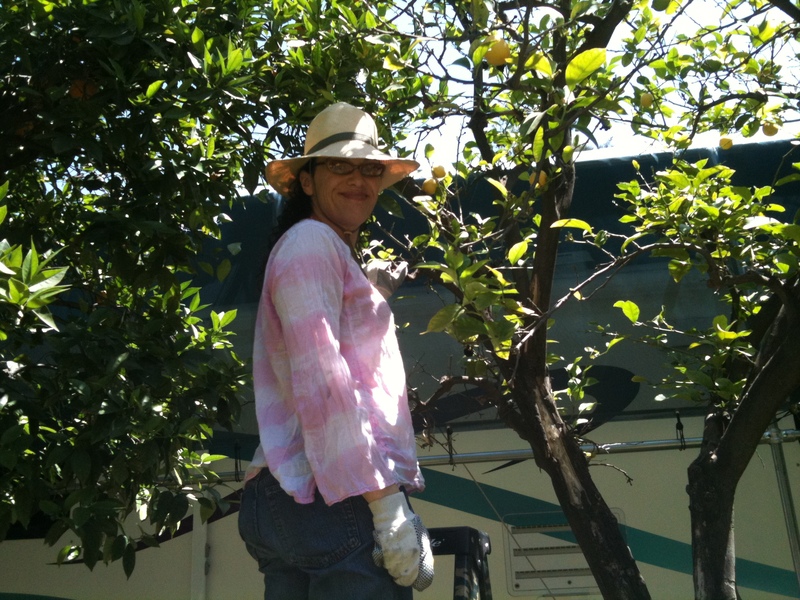 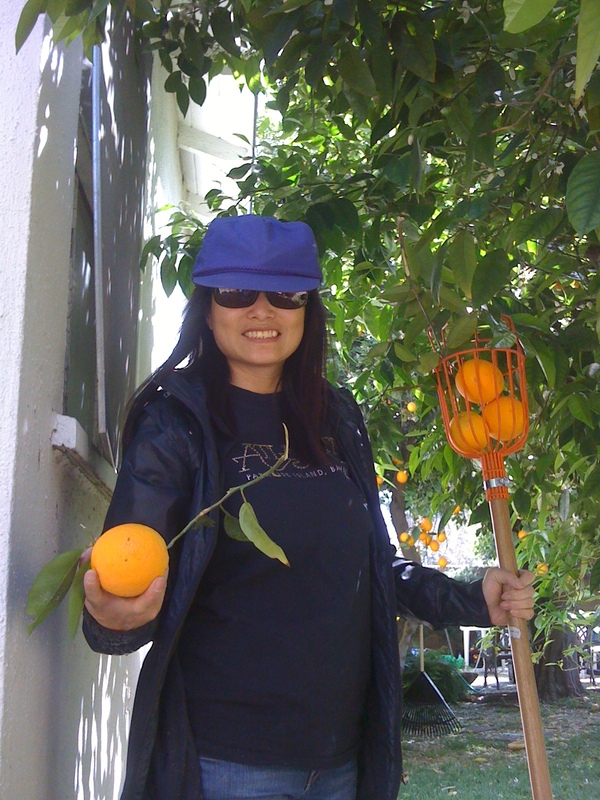 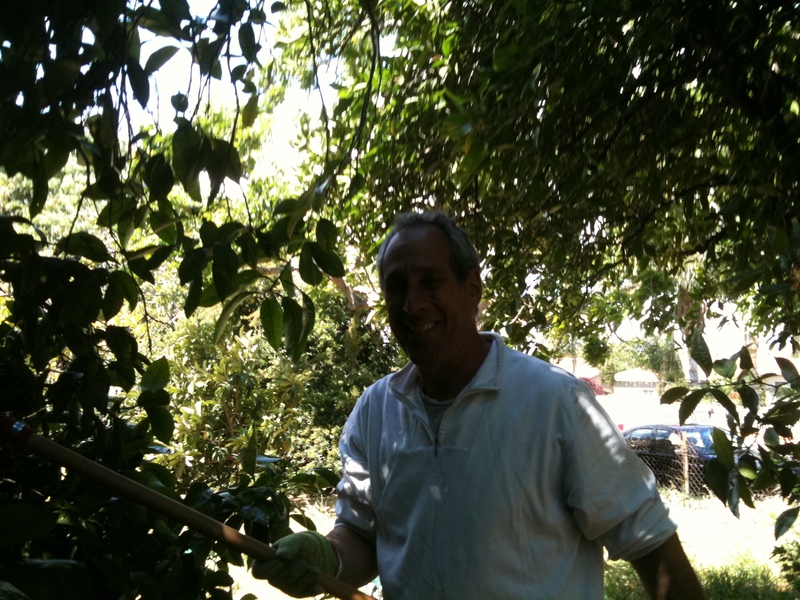 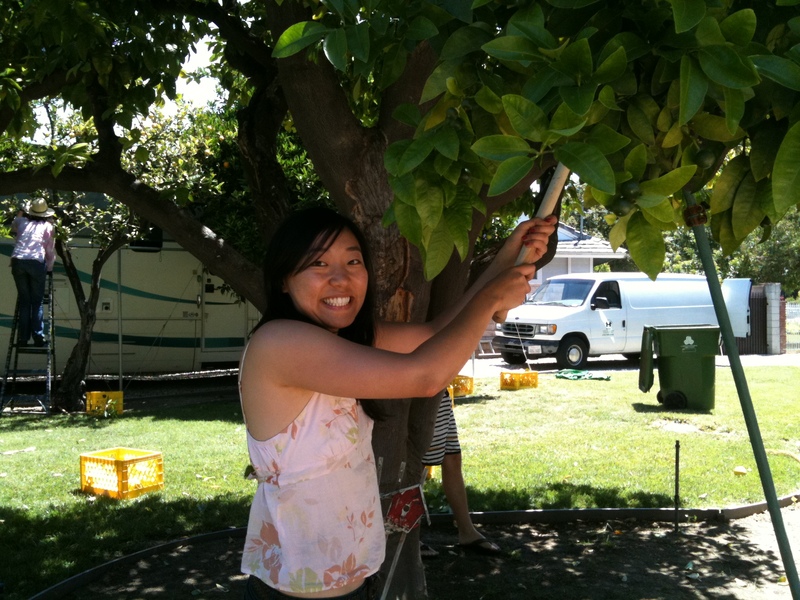 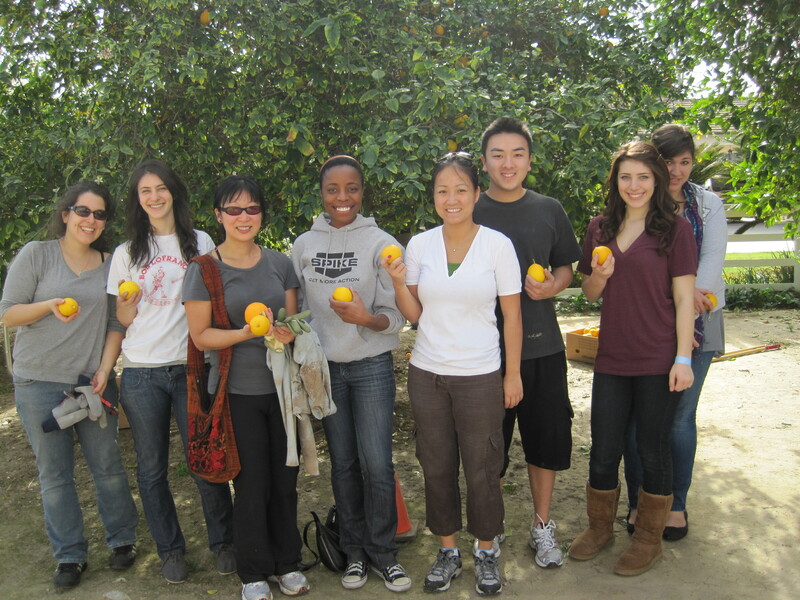 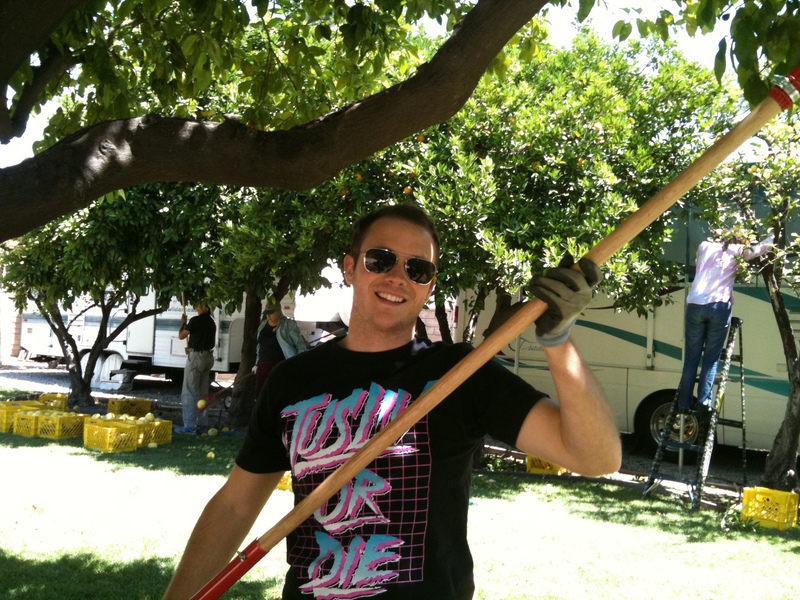 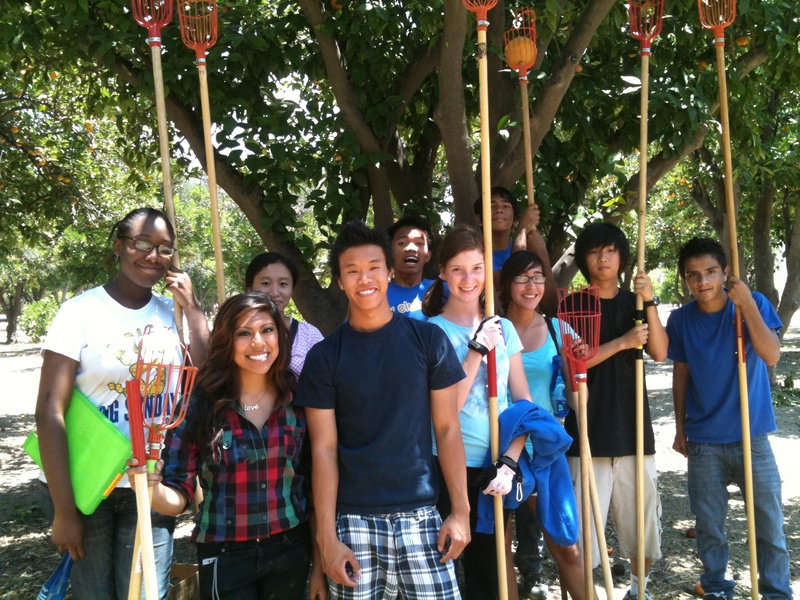 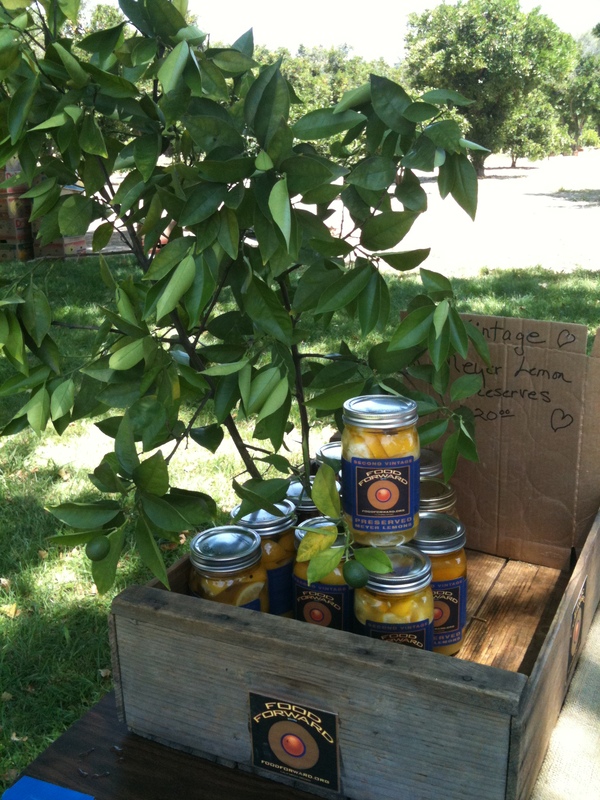 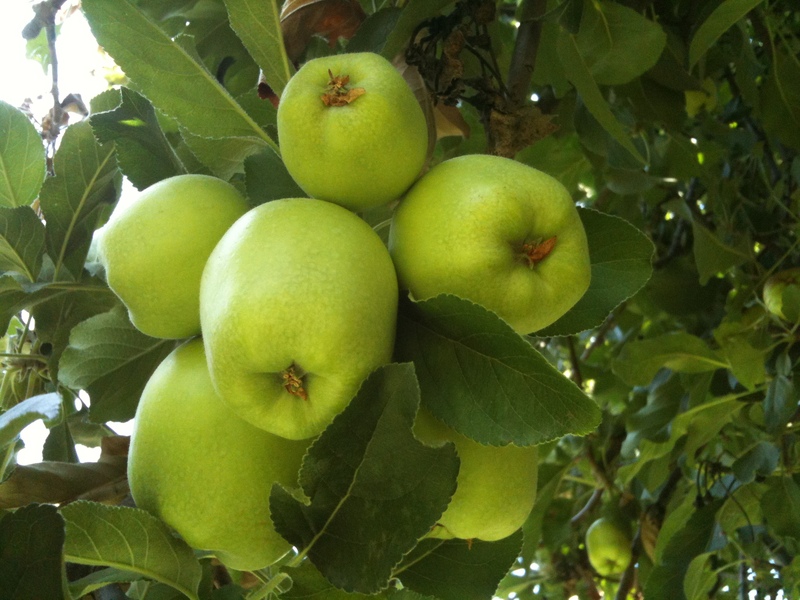 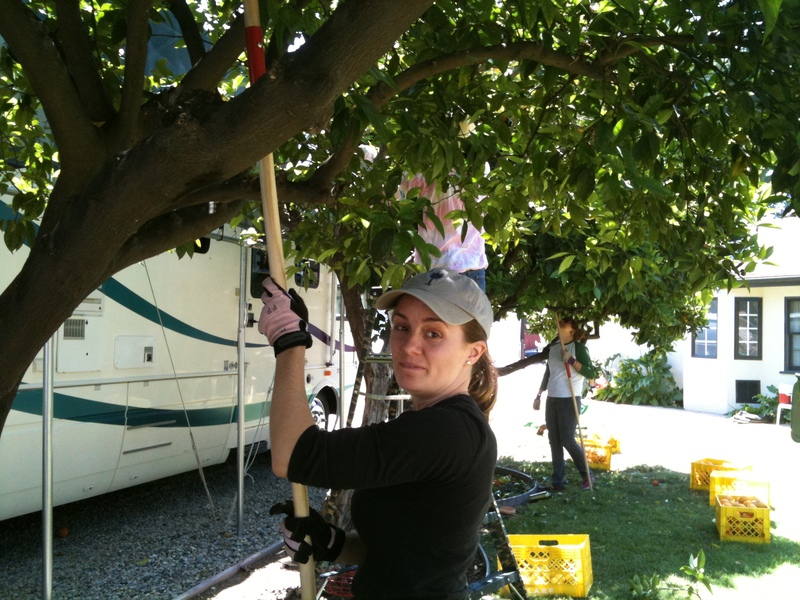 A few spots still available for a pick this Weds 6/16 in Northridge – email marie@foodforward.org for details. 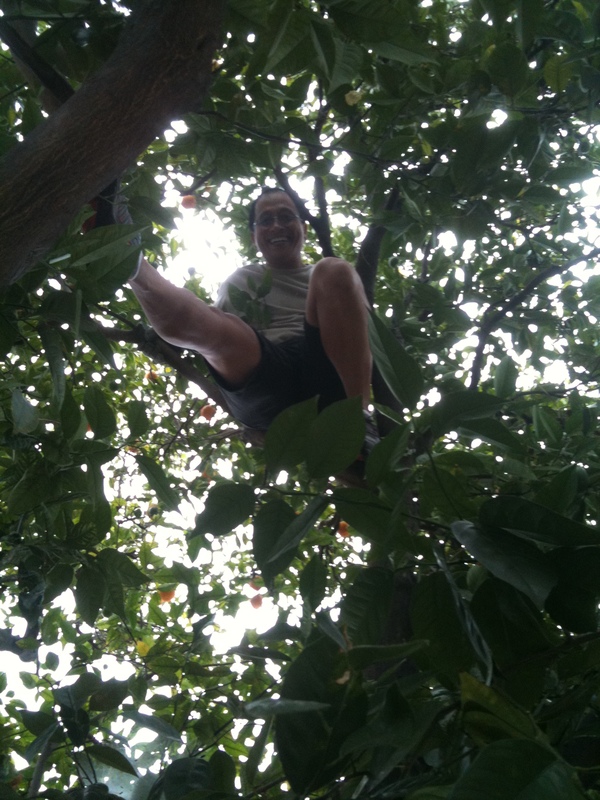 Look forward to seeing you all in a tree soon! 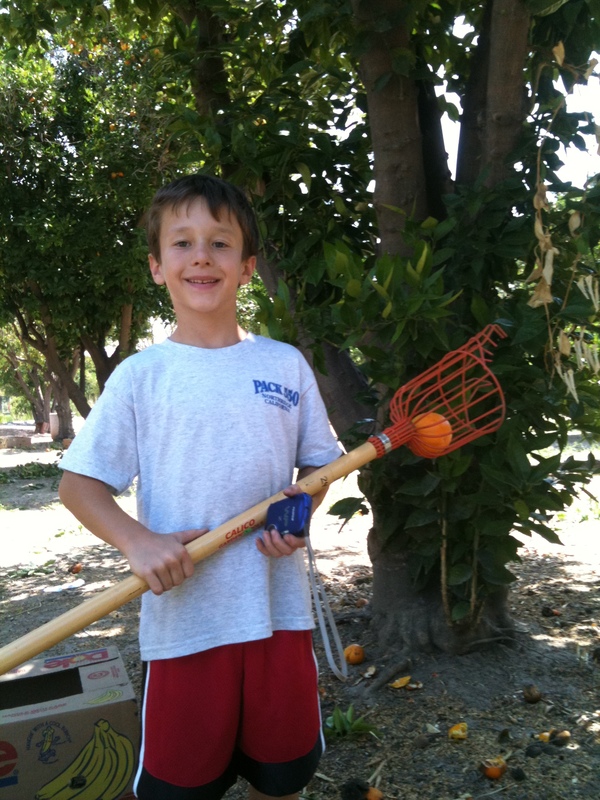 Big Pick #7 Results Are In! 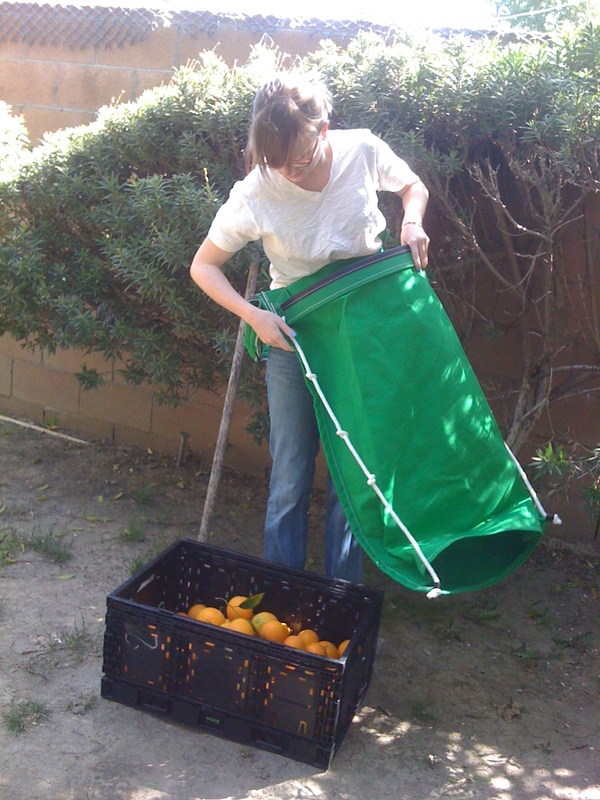 Big Pick #7 results are in!! 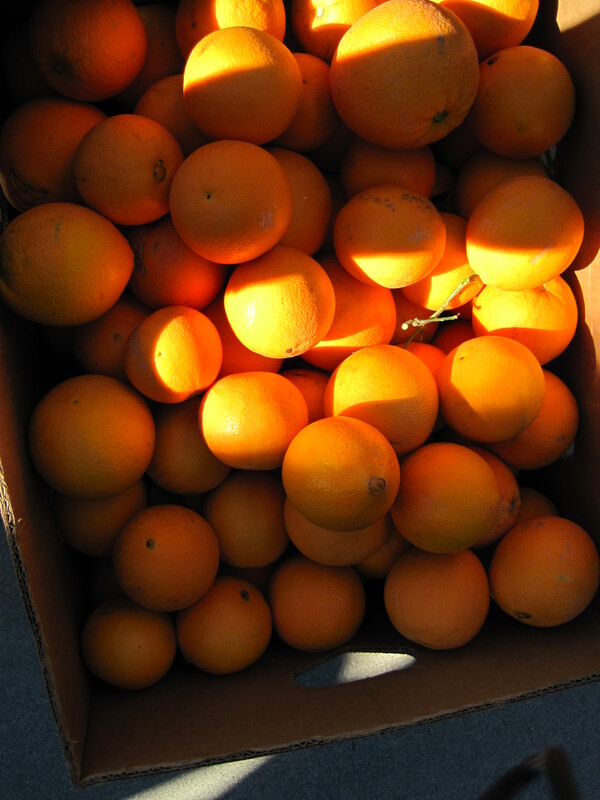 This morning at CSUN’s Orange Grove, just over 4500 lbs were harvested by FF volunteers, all going in to the hands of those in need in the coming days! 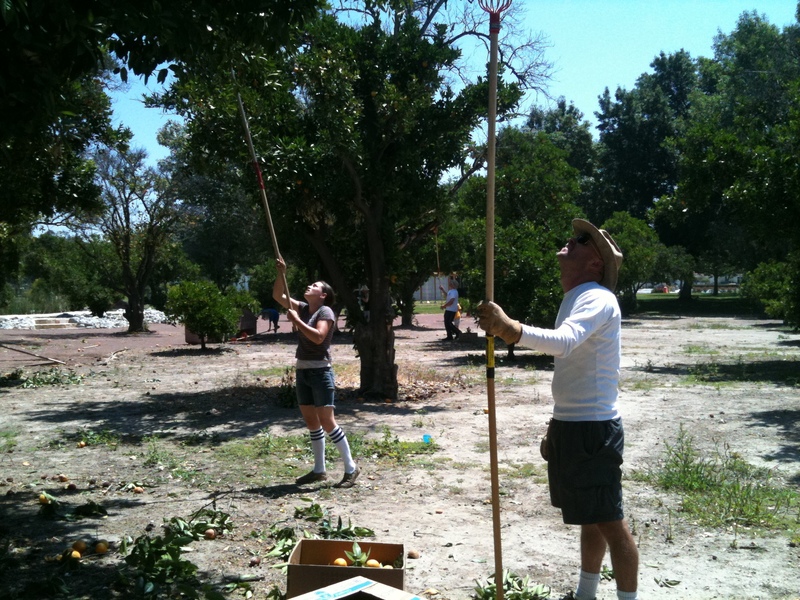 A HUGE thank you to everyone who volunteered out in the heat today! 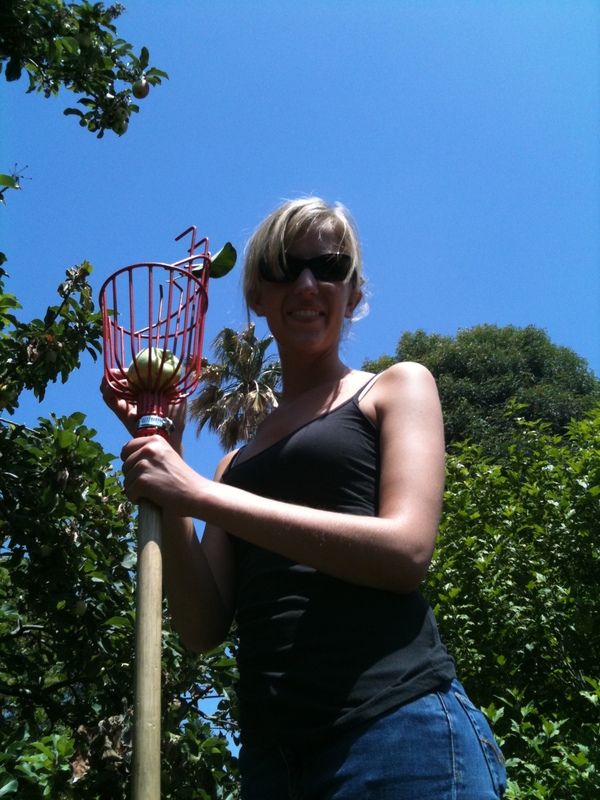 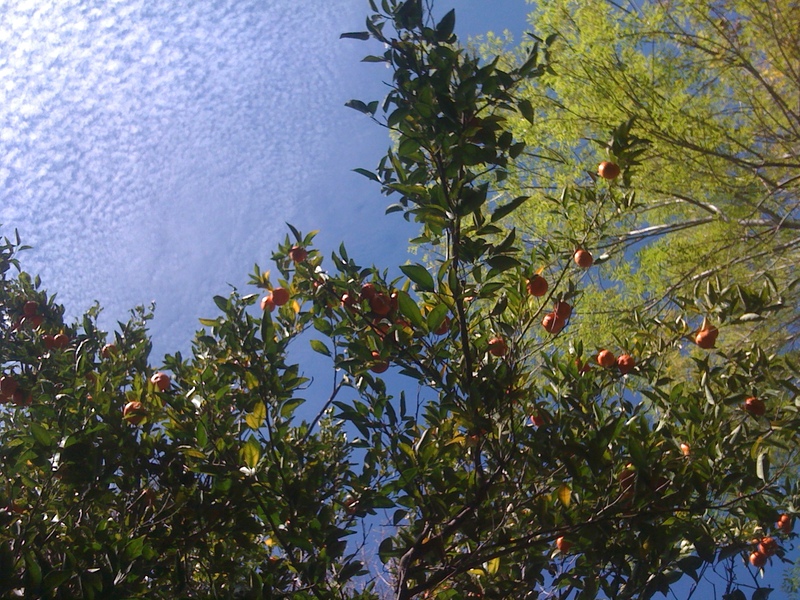 Looking for fruit trees in LA! 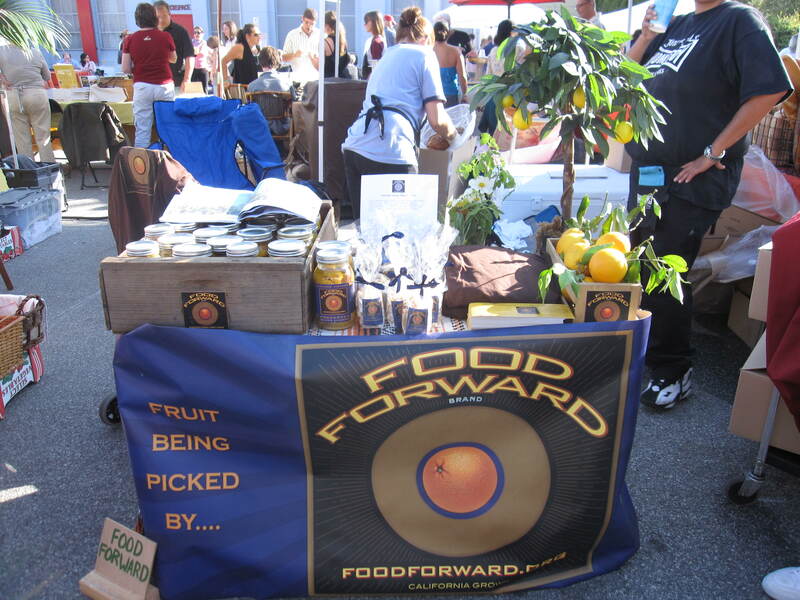 If you live in LA and have healthy fruit trees (or in a neighborhood that does), please get in touch with us as Food Forward will participate in Big Sunday on May 1st and 2nd – the LARGEST volunteer event in all of Southern California. 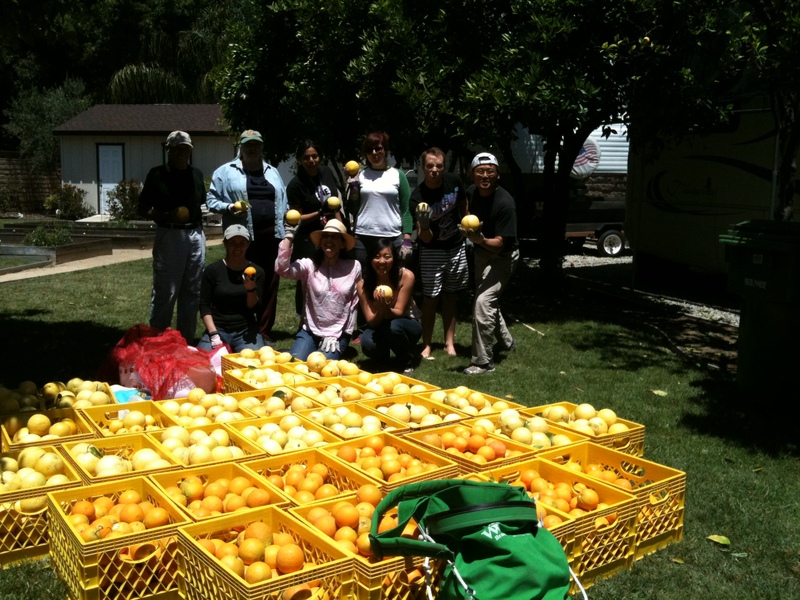 We will be harvesting fruit trees in neighborhoods across LA, so we invite you, your friends, family and/or neighbors to take part in this incredible event by being a FRUIT DONOR. 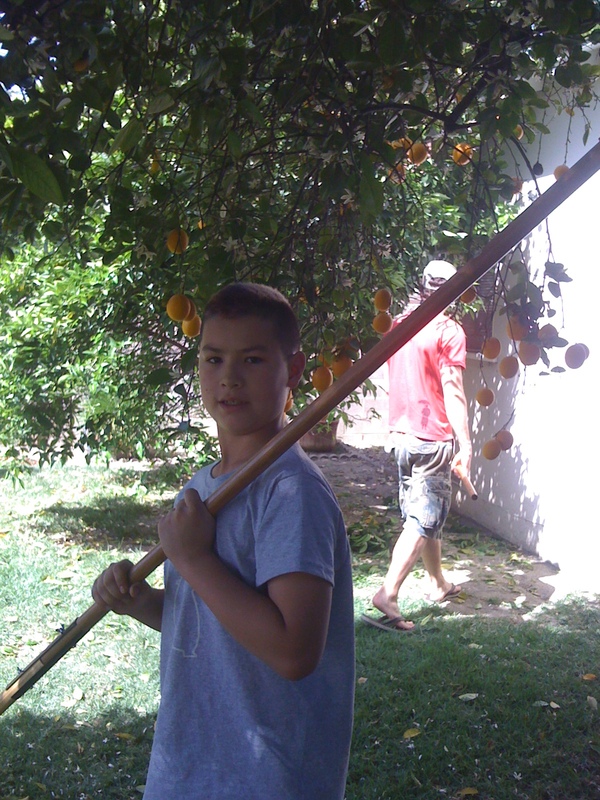 What does it entail? 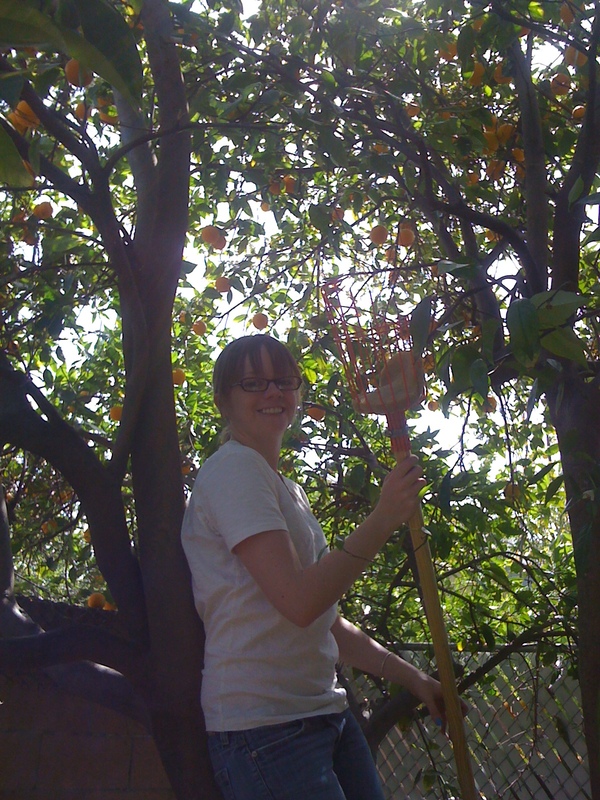 You just sit there while a few of our (fully insured) volunteers do all the work of picking, schlepping and hauling – Sure you might offer us some lemonade or an off color joke to keep our spirits up, but honestly all you need to do is agree to take part and you will received a TAX DONATION RECEIPT for EVERY POUND WE HARVEST. 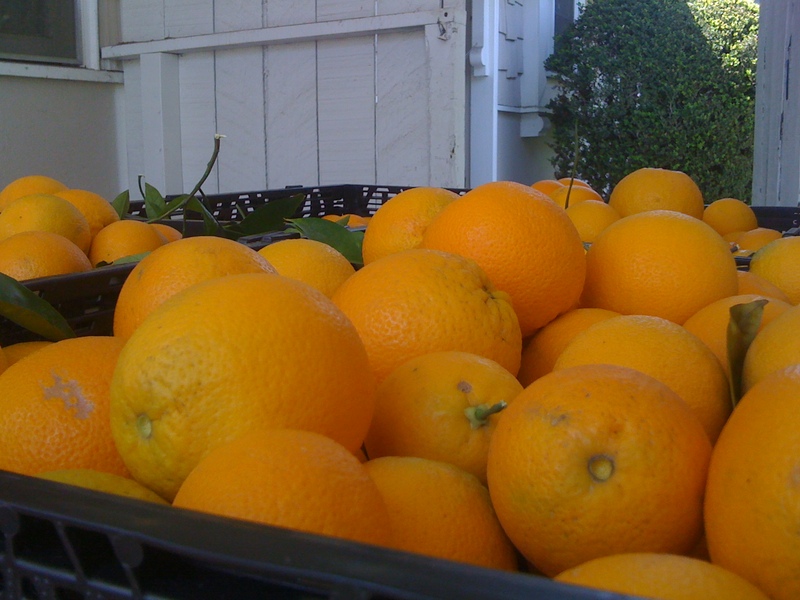 Quite the deal, we know, so don’t tell too many people…better yet, tell everyone including your neighbors! 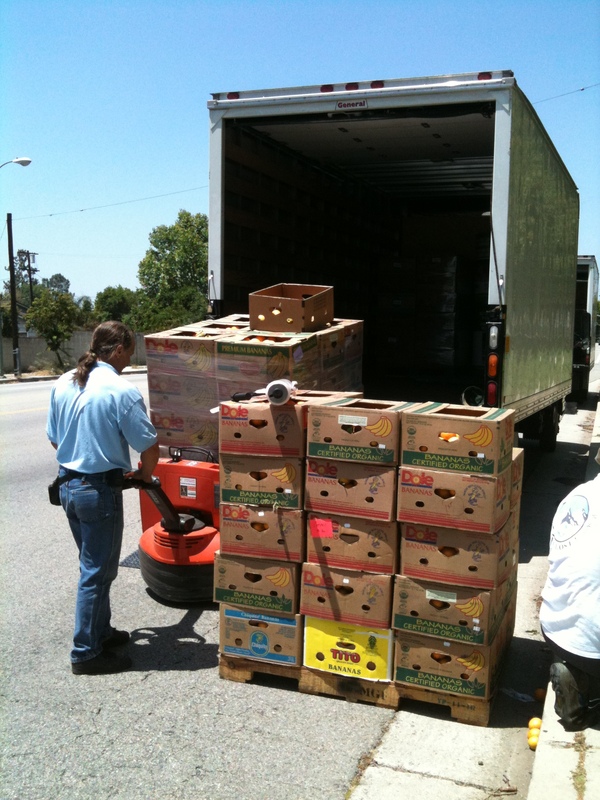 More importantly, please call us at 818-530-4125 or email Erica our Harvesting/Property Coordinator at erica@foodforward.org – to let us know you are on-board – and while you are at it, check out the great work we do and numerous press stories on us at our website: FOODFORWARD.ORG. 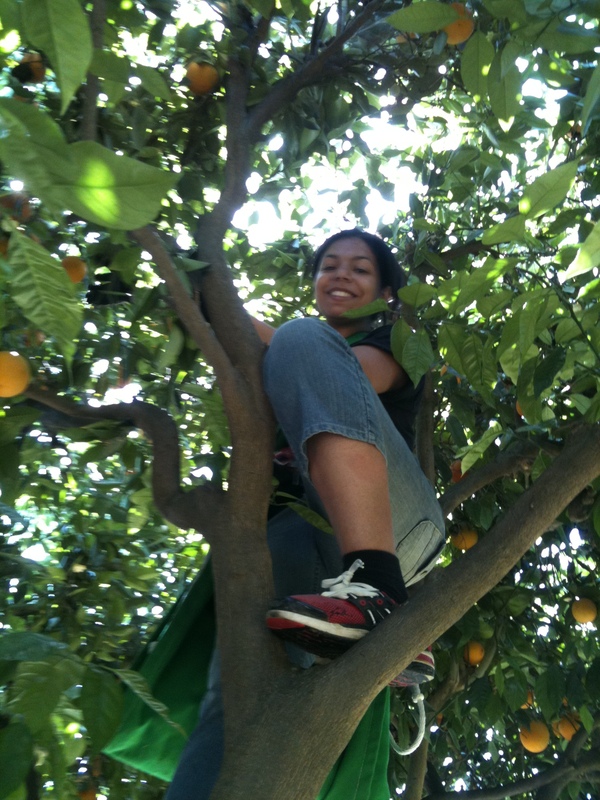 You will be proud to be part of our growing family of FRUITANTHROPISTS – now over 150 strong and growing weekly! 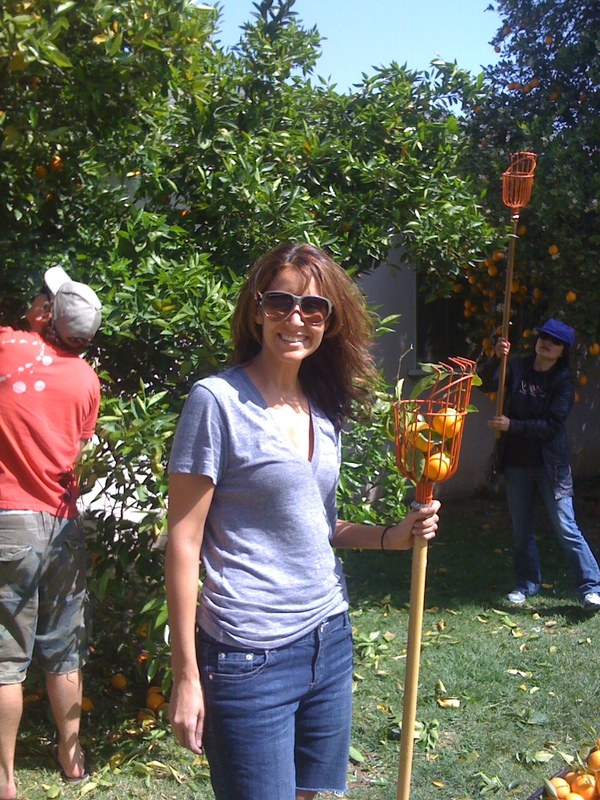 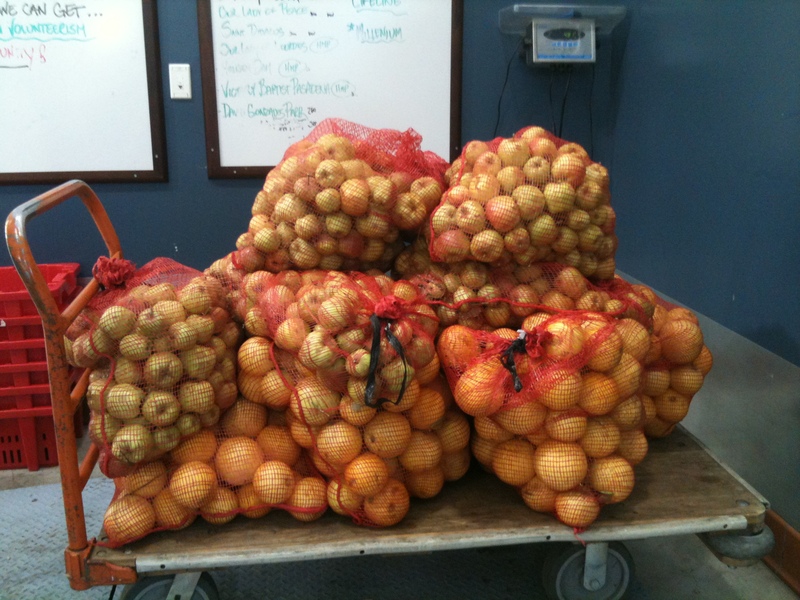 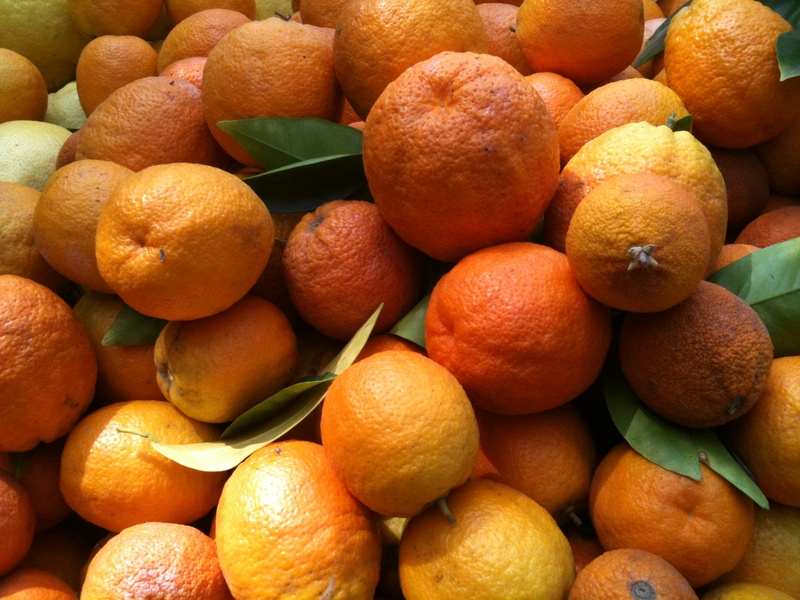 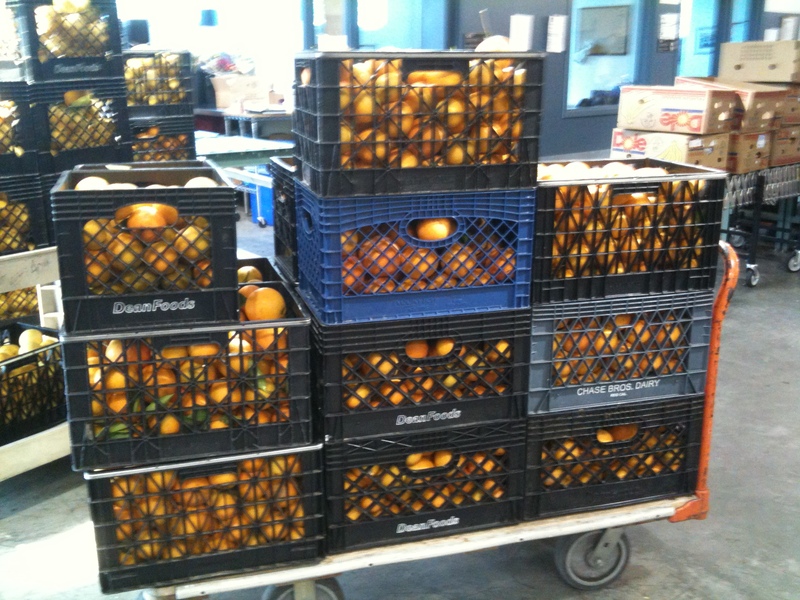 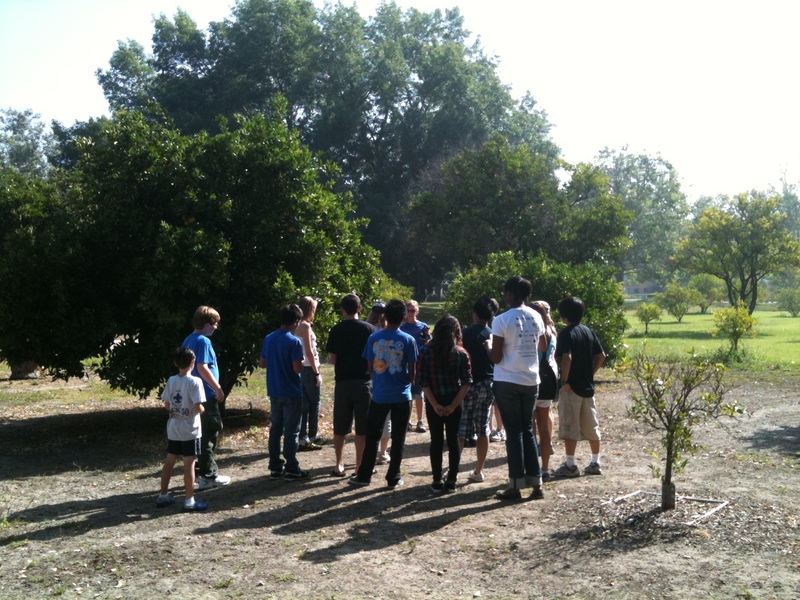 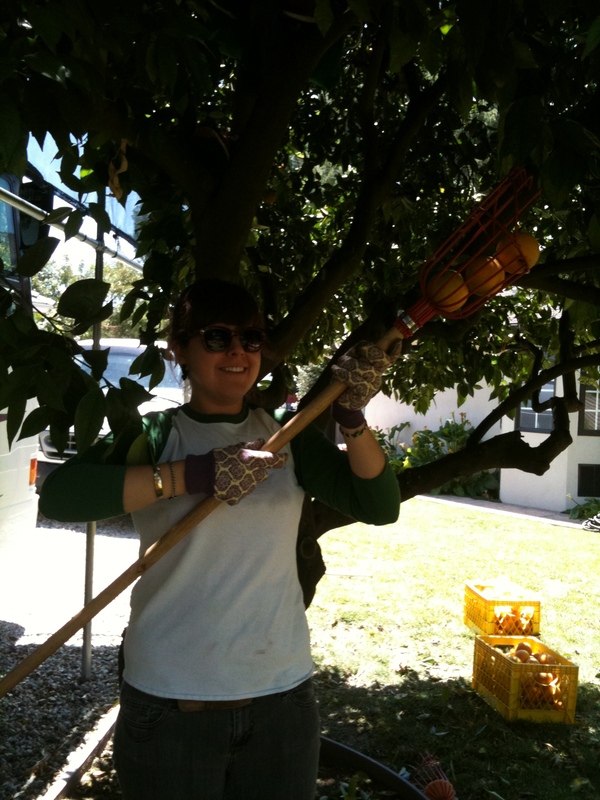 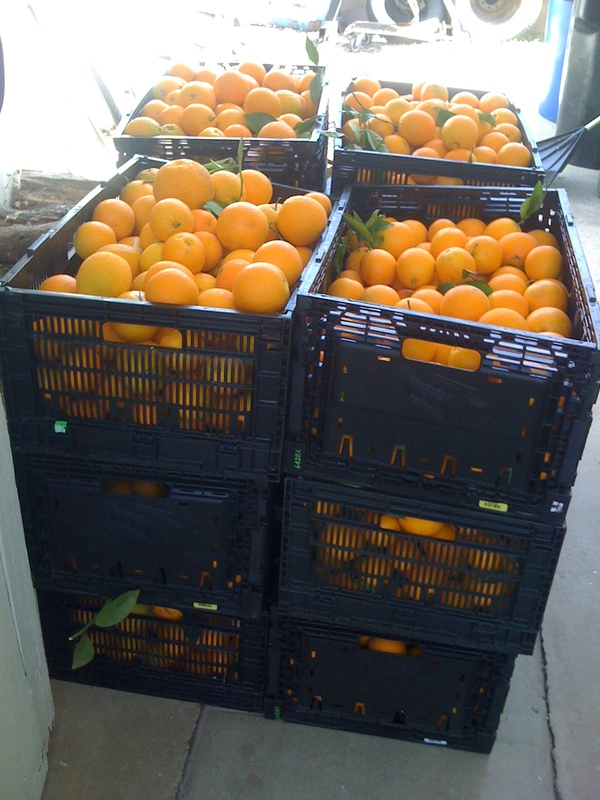 Also on Saturday, Erica had an a great pick with CAUSECAST’s crew which yielded over 800 lbs of oranges to MEND. 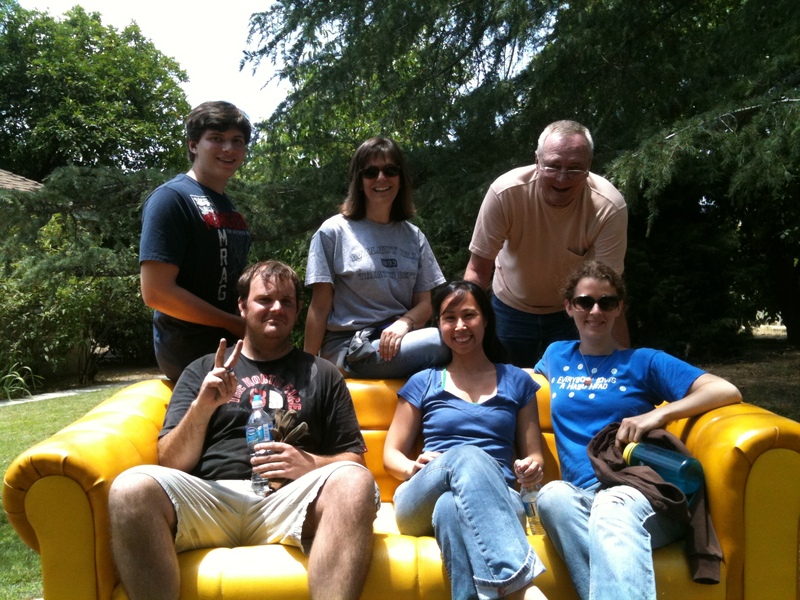 Causecast wrote up a very flattering blog post about the event which you can see leading off the IMPACT Section of the Huffington Post today! 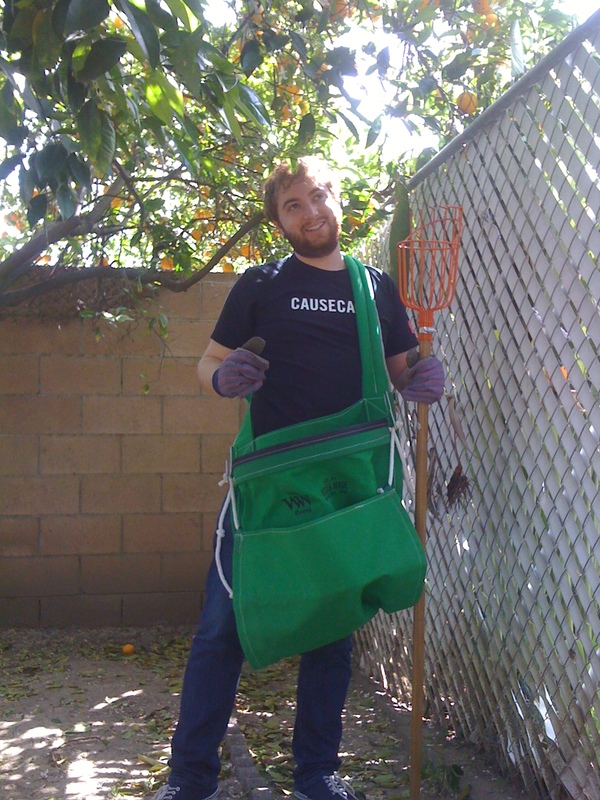 http://www.huffingtonpost.com/jonathan-daniel-harris/fixing-americas-hunger-cr_b_516561.html A Big thanks to Heidi and Kristen for organizing the pick and another big thanks to all at Causecast for coming out. 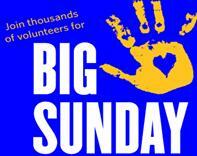 Then Sunday, Capt. 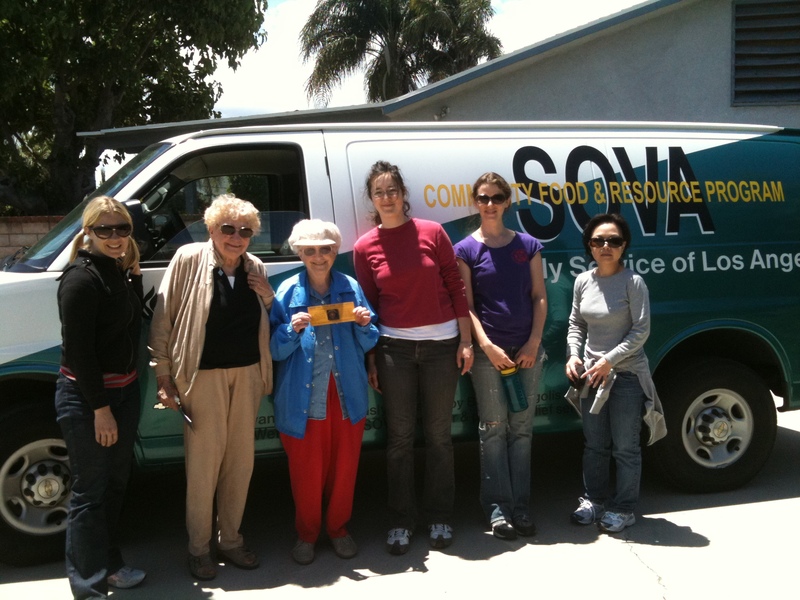 Carl and I had two great groups in tandem on which yielded well over 1500lbs combined for SOVA – final tally still to come. 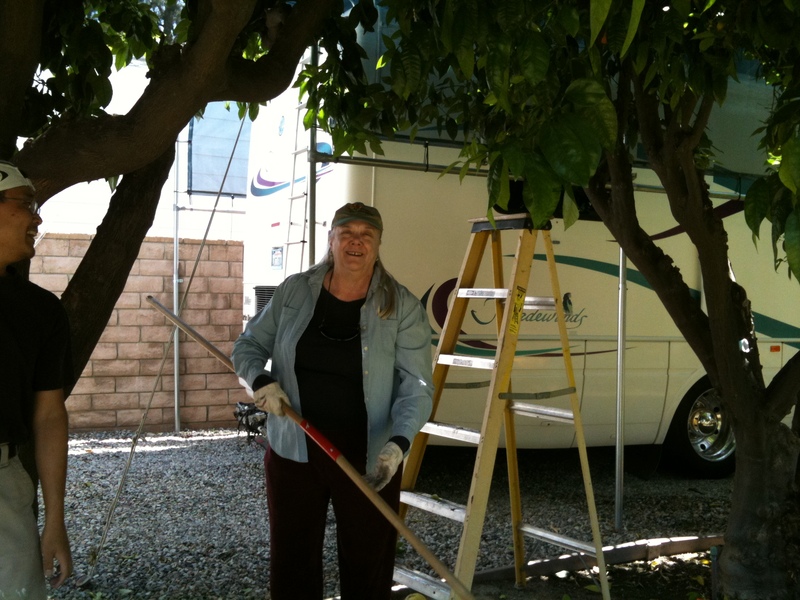 The massive 40 foot grapefruit tree I tackled with my small by very able bodied crew was dedicated to Dawn and Charles – two core FF volunteers and spirits – who are moving north and who we will dearly miss! 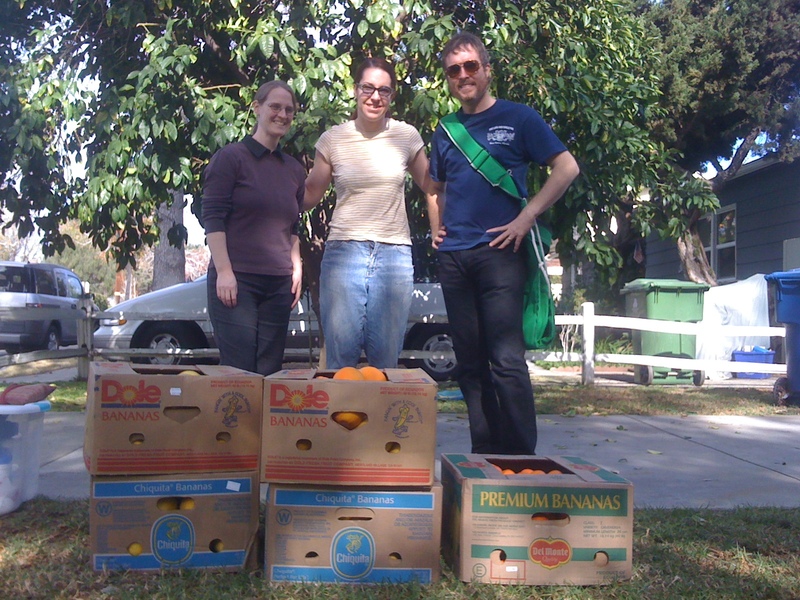 Thanks to everyone who came out and participated, tabled and picked.